The awards just keep coming in! We recently announced our 2014 Super Service award from Angie’s List and now, once again thanks to our awesome customers, we took home the 2015 Best of Frederick award for Heating & Air Conditioning service! This is the second year in a row that we have won the award! Each year, the best businesses in Frederick, MD are voted on by local residents. 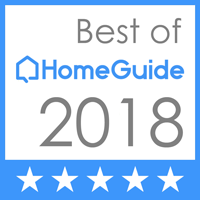 Because of this, all of us at Holtzople Heating & Air Conditioning want to sincerely thank you, our customers, for once again helping to make this happen!